Our waterproof masonry paints are suitable for application to a wide range of surfaces, including brickwork, lime render, concrete render and exterior surfaces that have previously been coated with sealers and other masonry systems. Our product range includes, limewash, standard acrylic, anti slip, elastomeric and silicate, all of which can be specified by the Promain technical team. As an approved distributor for many of the leading manufacturers, we are able to provide masonry paint for many of the big brand names, including Rust-Oleum, Bedec, Mapei, Keim, Sika and Zinsser. We supply a comprehensive range of exterior wall paints, suitable for both the trader and the general public, with over 50,000 colours available for you to choose from. The paint systems within this range have all been tried and tested to cope with adverse weather conditions, protecting exterior masonry to produce a decorative finish for the building in question. Choose from hundreds of colours, including cream, grey, blue, red, pink, green, yellow and white masonry paint. Acrylic paint with micro quartz for internal and external application with a smooth finish and high durability. A flexible textured coating offering extremely durable protection against extreme conditions for up to 15 years. A water based, 2 pack epoxy gloss finish for hygienic interior use on walls, floors and ceilings. A base coat formulated to even out surfaces by filling defeats on old render prior to Mapei Silexcolor Top Coat. Mapei Silicate based, vapour-permeable Mineral Silicate Masonry Paint for cement or lime based renders. Multi-purpose exterior sol silicate paint system based on a combination of silica sol and potassium silicate binding agents. An acrylic undercoat used to level or improve bonding and absorption before the application of the final coat. A one part, water dispersed coating, designed for the protection and decoration of fair faced concrete. If you aren't sure which product to buy, how to apply a certain product or how to prepare the substrate, please take the time to read the professional guide we have created for painting exterior substrates such as concrete, brickwork and lime render. We will glady assist those of you with masonry problems or those of you unsure how to go about painting exterior brickwork. Where to buy masonry paint? Masonry Paint is manufactured globally by a range of well-known manufacturers in the paint industry, including the likes of Rust-Oleum, Bedec, Zinsser, Keim and Mapei. Although products can be purchased directly from the manufacturers, you can benefit from Promain's manufacturer trained technical team who can advise on types of paint and specify bespoke solutions, tailored for individual project requirements. We are one of the UK's leading distributors for the worlds leading manufacturers of performance coatings. We offer a range of performance coatings, with over 50,000 colours available. Which exterior masonry paint to buy? How long do you want the paint to last (life expectancy)? Has the surface been coated with anything before? What type of substrate are you looking to paint? Is it a lime based render, brick masonry, concrete render, what type of bricks, is it a heritage property? Where are you located? What weather conditions do you face daily? What is the surface/substrate condition? Are there surface cracks, hairline or larger? Are there any loose materials? Do you want elastomeric, micro-porous or anti-carbonation paint? Do you want textured or smooth masonry paint? Which brand/system would you like to opt for? Taking all these things into consideration and more will help you to find the right coating to suit your needs. We can match two colours if you require us to, with over 50,000 colours available to choose from. If you are stuck trying to find the right product, we have a technical team available who are ready and willing to answer any questions you have and point you in the direction of the correct product to suit your needs. What is the difference between smooth and textured masonry paint? Despite what people think, a textured finish won't give you any added benefit in harsh conditions. It might, in fact, actually hinder water resistance. A textured coating can slow down moisture from flowing off the surface, opening up to damp problems down the line. Textured is more for decorative, creating a quartz or rough surface that is visually appealing. Two advantages of the textured finish mean that the paint can be used to hide surface imperfections or cracks. In urban environments, textured coatings can act as an anti-fly coating, preventing people from sticking posters and flyers to the building in question. How to remove masonry paint from render, concrete, bricks? This can be tricky and messy, but there are ways around it. The quickest and easiest way is to sandblast the substrate, although this can be expensive. The best thing you can do is to look for a compatible system that can overcoat existing systems. We can help you find exactly what you are looking for. How to stop masonry paint from flaking? To stop any paint from flaking, not just masonry, you need to install it correctly, following best practice and guidance from the technical data sheets. Don't paint over loose or peeling material. Find out if a primer is required or if you need a fixative to firm up the surface. Get the right system for the substrate! Please Remember: A paint is only as good as the surface you are painting onto. If you are painting onto a loose or peeling surface, you can almost guarantee that your coating will flake or peel off. Prepare the substrate properly and speak to the Promain technical department regarding appropriate coatings so we can find a compatible system to meet your requirements. What is Sandtex masonry paint? Sandtex is a very good general masonry coating, however if you require a more bespoke solution to go onto a specialist or performance coating, we can offer that. Murfill, for example, is the perfect system for coastal environments. Highly resistant to salt spray and high concentration of salt in the air, Murfill can prevent salt from having a negative effect on the paint. If you are looking for a paint for a coastal environment, Murfill has an approval from trinity house (British Lighthouse Association), so we know this is a really good paint for performing in coastal areas. In high humid and damp areas, like houses in valleys for example, Mapei Silancolor is highly water repellent and permeable, which means it will stop ingress and allow moisture to escape. Silancolor Plus has an anti fungal additive for high humid areas to prevent mould and algae in these conditions. When talking about paint for urban environments we need a paint to protect against carbonisation. EM18 is ideal here to protect against carbonisation, preventing CO2 from reacting with natural calcium in the substrate which can affect the reinforcing bars and impact the concrete. Do I need masonry paint or emulsion? Masonry paint and emulsion are two very different things. For all they might look similar, emulsion is generally much cheaper and often designed for interior use. Emulsion paint is usually preferred as a decorative interior coating, whereas masonry paint is designed to protect exterior walls and surfaces from the harsh elements. It's not always as straight forward as emulsion = interior and masonry = exterior, so if you need support, please don't hesitate to contact us and we can answer any questions you have regarding your buying decision. Bespoke paints for masonry are available for coastal and humid environments, as well as for different constructions, such as stone, brick, flint and lime render. An emulsion paint wouldn't be fit to perform in such conditions or on these types of substrate. What masonry paint do I need to cover cracks? Over time, small hairlines cracks can appear on the surface of exterior walls. When exposed to the elements these can become a real problem, especially if water is allowed to enter the cracks and freeze inside. When the water freezes it expands, which in turn can cause more damage to the render. What is Elastomeric Masonry Paint? An elastomeric paint is a paint that stretches, expands and contracts, moving with the natural ebb and flow of the building. Promain offer a range of elastomeric products with high elasticity, ideal for going over small cracks. Is it lime render, brick or concrete render? Is there previous coatings on the substrate? What system are you looking to buy or have you already bought? What conditions are you up against? Atmospheric, coastal, high wind and rain, or humid environments for example. Answering these questions will be a good indication. Some paints you need a primer with and some you don't. It's all dependent on the system and what you need the system to do. What is the Best Masonry Paint for outside walls? England has high humidity with over 80% a lot of the time and foggy too. There is no “best paint for outside walls”, it ultimately depends on many factors as mentioned above. How to apply masonry paint? Most masonry systems can be applied using brush, roller or spray, although some can only be applied by brush. It really depends on the paint and whether you have purchased a sprayable masonry paint or not. When painting any interior/exterior wall, it's worthwhile taking the time out of your day to check if the surface has been coated before. Always check that the paint is compatible with the surface and that it is safe for you to coat over old coatings also. Also consider the condition you are looking to apply in. Don't paint in rain if you can avoid it. Try to paint the substrate during summer and spring time in the warmer months and make sure you prepare the surface properly following technical guidelines. The technical department at Promain can help you determine whether it is safe to start applying your new purchase. This depends on the surface area in question. If you have measurements to hand when you call us then this will help us to help you much faster. 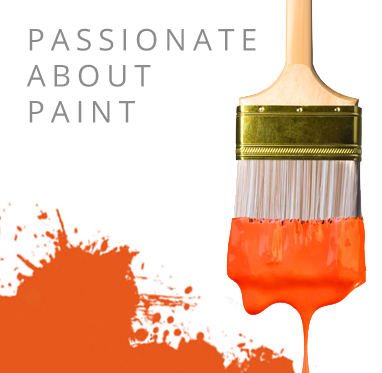 We can talk to you about surface areas and application and work with you to determine how much paint you need to buy. How much paint you need is also dependent on the substrate type and how porous the surface is. This will indicate as to how much paint will be absorbed into surface. It also depends on what paint is being used as different paints have different coverage rates, so all things need to be considered. Which Masonry Paint Do I Choose? There are many things to consider when looking to find the correct paint to suit your needs. We have outlined a few of the main things to consider below. Firstly, you need to consider the condition of the wall you intend to paint. If the wall has lots of hairline cracks in the render then you might want to consider an elastomeric masonry paint, specifically designed for application to walls will hairline cracks present. Choosing a product that will bridge the cracks effectively is essential. The paint will need to expand and contract during the winter and summer months to prevent water ingress and render damage. Elastomeric masonry protection is an ideal solution to meet your waterproofing requirements. Elastomeric paints such as Bedec Extra Flex and Rustoleum Murfill Renovation Paint will prevent water from entering through the gaps and cracks, stopping it from progressing further behind the render. If ingressed water is allowed to progress behind the render, icy temperatures can freeze the water, causing it to expand and turn to ice. Due to the water expansion the render can become damaged and crumble. With that said, it's imperative that you consider an elastomeric coating rather than a cosmetic one. Another thing you will want to consider when purchasing a paint for protecting your exterior walls is how breathable the paint is. Breathable or “Micro-porous” masonry paints, as they are often referred to as, allow excess moisture in the walls to evaporate and dry out. These sorts of paints are highly effective for application to older buildings, where cavity wall insulation wasn't included in the building regulations. A solid masonry wall will often draw in dampness from the outside, thus causing problems within. When dampness builds up walls can become very cold, effecting your heating bills drastically. The chances of mould growth and organic contamination will increase too, both inside and outside. Cottages and churches are usually constructed using a lime based render, therefore a breathable paint needs to be considered in this type of building. Solignum is one of our most popular products, designed for application to older buildings. Most well-manufactured masonry paints are anti-carbonation, meaning the coating will prevent excess carbon being absorbed into the concrete or brickwork. The excess carbon can cause any metal reinforcements within the walls to rust and corrode quicker than they usually would, thus causing problems. External walls that are exposed to the elements are far more likely to be effected and should be top of your priority list when looking to decorate and protect the outside of your property. As well as specialising in breathable and elastomeric coatings, we can help you find an anti-carbonation coating to protect your exterior masonry from carbonation and water ingress. There are many things to consider when looking for a weatherproof, decorative coating to protect your exterior walls. We have outlined a few of the key things you will want to think about below. When choosing any paint, you should also consider where the property is located. If your property is located in land, then your standard range of masonry coatings will usually be fine. Extra Flex and Paracem are popular choices among people looking to protect exterior walls on properties positioned away from coastal or exposed areas. For highly exposed conditions however, such as out on the coast or up in the highlands and islands, a high performance coating will usually be required. Murfill Waterproof Coating from Rustoleum is a popular choice in this scenario. This particular product has been used on countless occasions to protect lighthouses up and down the country and around the world. Lighthouses are probably the most exposed type of building we have on the British Isles, so you can sleep safe in the knowledge that Murfill will serve you well for many years. Life Expectancy can vary between products, although this generally depends on the location and exposure. We'd expect to see a maintenance cycle of between 7-10 years once the paint is fully cured. When painting your home or commercial property, it's important to consider the surface you are painting and whether or not it has been previously coated. You may need a wall primer and the wall may need to be treated (especially the north wall where a lot more organic contamination can take place) with a fungicidal wash first. We also supply coatings for wet walls, often found in cellars and garages. You probably know the colour you are looking for already, although certain products are available in different colours. There's no need to panic if you've found the perfect paint but it's not available in the exact colour you require. Speak to the Promain technical department about possibilities to tint the paint and we can talk you through your options. You will no doubt be considering the cost of masonry paint when shopping online. Many of the exterior wall coatings we supply differ in price, but not drastically. As with most things in life, you get what you pay for. If you want to achieve high levels or protection with a quality finish and a longer life expectancy, it's always worth spending a little extra to have your requirements met. If you are looking for the best exterior masonry paint, branded products can be purchased online from Promain Paints. As previously mentioned, we supply a comprehensive range of exterior masonry protection from some of the biggest names in the industry, including Rust-Oleum, Keim, Bedec, Mapei and Zinsser. Whether you are searching for a standard acrylic, limewash, elastomeric or silicate masonry paint, you will find what you are looking for here. If you are specifically looking for alternatives to the high street brands, a quick call to Promain will stand you in good stead. Whether you want to achieve a smooth finish or a textured finished we have coatings here to suit your needs. Glixtone EM18 is a textured coating offering durable protection against extreme conditions. In order to properly protect your outside walls you need to purchase a paint that has good life expectancy and waterproofing properties. For crack bridging, an elastomeric coating should be considered and for areas exposed to the elements, a high performance masonry paint should be on your list.